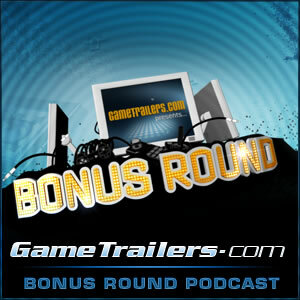 The last episode of the E3 Bonus Round Special is in the books for Game Trailers, and they spend that time dicussing third party offerings. Per usual these days, the entire discussion is about some great games that wont be gracing a Nintendo console this year. However, at the end of the show they talk about what they are looking forward to most, and Nintendo took the cake from every analyst. You have the Wii 2 announcement that has everyone their edge of the seats waiting to see how Nintendo is going to surprise us this time, and then you just have that mystified feeling that always resides around the Nintendo Conference. I have to admit, I agree that Nintendo’s conference is always the most anticipated. Not that the other companies aren’t usually better (we’re talking the entire gaming universe verse Nintendo here), but Nintendo always carries the weight to dominate discussions with one big KO punch. This can be a masterful console or a game that shocks everyone and entices a ton of excitement. Twilight Princess was that KO punch back in 2004. The 3DS is what really did it for them in 2010, and in 2011 it’s clear the Wii 2 could truly make everyone forget about the other software out there. Oh, we also get more Zelda, Mario 3D, and a whole bunch of stuff we likely haven’t heard of yet. In the end, the software side is going to be the biggest surprise, but the Wii 2 is going to be the biggest conversation starter. I think they have to do “something” to get people really talking about Skyward Sword after it’s poor showing at last E3, so hopefully we see something from the game that, while a big spoiler, is something that truly gets the crowd going. There is going to be a lot of stuff to look forward to at E3, so what are you most anticipating?